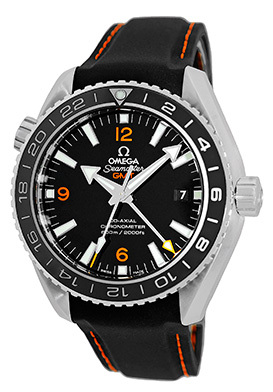 Gent's Stainless Steel Omega Seamaster "Planet Ocean GMT" 600m Co-Axial Chronometer. 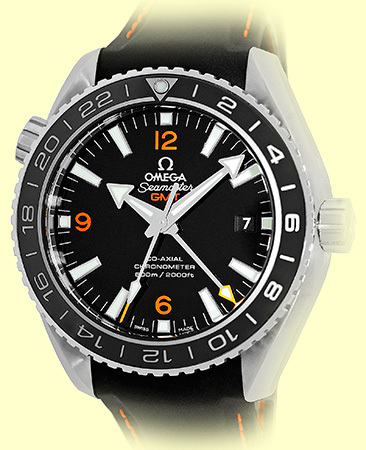 Laquered Black Dial with Luminescent Hands and Index Hour Markers, Orange Arabic Numerals, Center Sweep Seconds Hand, GMT 2nd Time Zone Hand, Date Indicator. 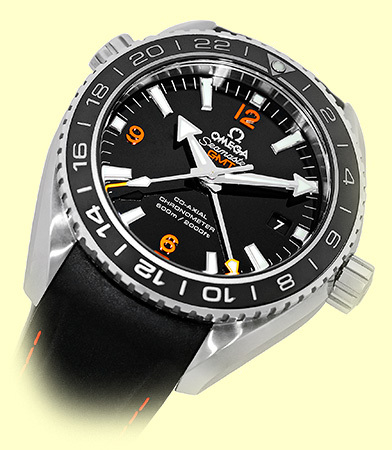 Stainless Steel Bi-Directional 24-Hour Rotating Bezel with Polished Black Ceramic Insert, Helium Escapement Valve, Sapphire Crystal. 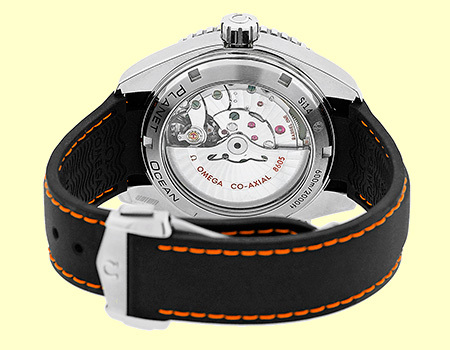 Highest Quality Omega Black Rubber with Orange Stitching Strap and Stainless Steel Omega Deployant Clasp. Handmade Swiss Chronometer Certified Automatic Co-Axial Escapement Calibre 8605 Movement Visible Through Sapphire Crystal Exhibition Caseback. 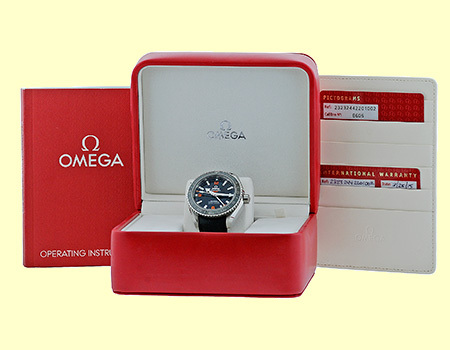 Like New, PERFECT Condition with Omega Box, Booklets, Omega Warranty Cards (Dated 03/2015), Hang Tag and complete with Capetown's Lifetime Warranty!! At Capetown, we're always looking for interesting trade-ins toward any purchase, such as your fine watch or upscale jewelry. Please call our purchasing department with any inquiries.